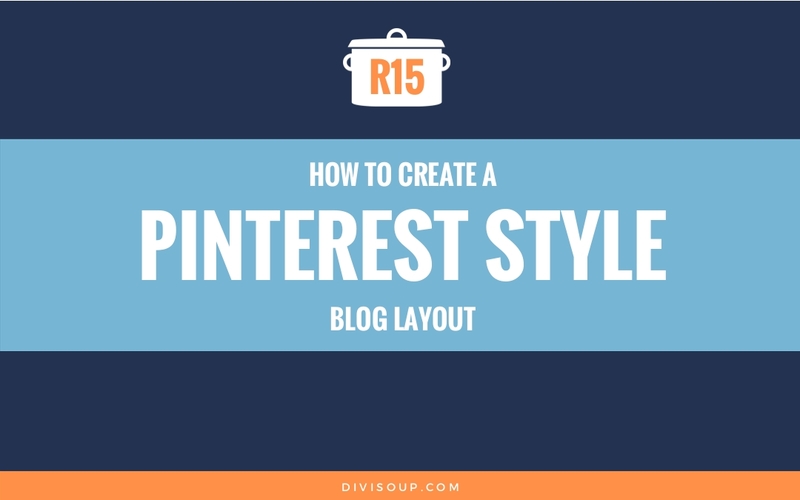 In Recipe #15 I’m going to show you something a little different, how to create a Pinterest style blog layout. 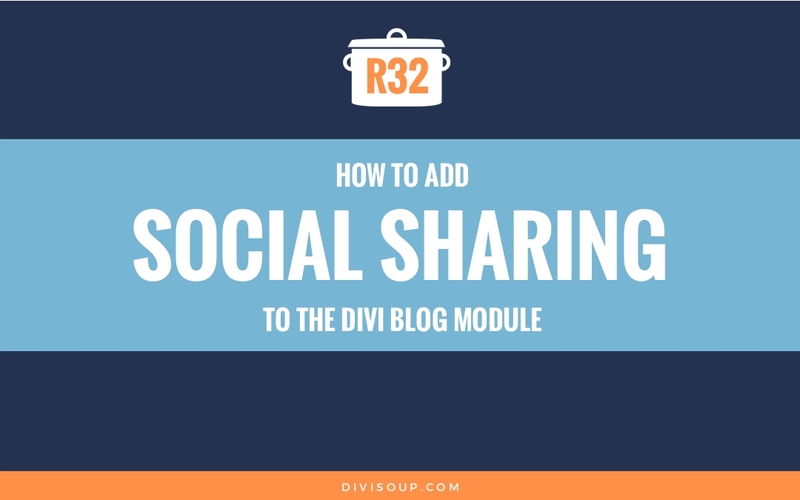 When I started Divi Soup I deliberately didn’t start any social media accounts other than Facebook as I really wanted to focus on one at a time and do it well, and seeing as I am partial to bright shiny objects, Pinterest was the last place I should have been spending time . This week however, I decided it was time to bite the bullet and risk getting lost in the rabbit hole that is Pinterest, and I am glad I did. If you are a Pinner you can follow me here https://pinterest.com/divisoup. This should take you around 20 minutes max. The first thing we are going to do is set up our blog module, so add a new section with a single column and a blog module inside the column. Then Save & Exit and update your page. You will also want to set you section or page background to a colour other than white. I have used #e9e9e9 which is similar to the Pinterest background colour. We are using the column-count property to define the number of columns we want to display. This can be anything you like but I have set it to 7 as this is what Pinterest currently displays on a large screen monitor. We also set the column-gap property, that’s the space between each of the columns displayed. Next we are positioning our posts relatively and setting them to display as inline-block so they flow one after the other, and also adding a shadow and border radius to our posts to make them look more like a pin. Then we also need to add that border radius to the featured image and the overlay effect. Then comes our post content. We add padding and margin to the content elements so they have some breathing room. The last declaration is optional, this adds the calendar icon before the published date in the meta data. As the blog module now comes with Ajax loading (yay! ), we need to adjust the position of the pagination container so it sits below out posts, that’s what this declaration does. And finally some media queries. All we are doing here is defining the number of columns that we want to display on smaller screens. So we have 5 columns for smaller laptops, 3 columns for larger tablets, 2 columns for smaller tablets and 1 column on mobile. You can adjust the breakpoints and columns as you see fit. Copy the complete CSS with commenting from the toggle below and paste into your child theme stylesheet or Divi theme options custom CSS box. So now your blog should be looking a little more ‘Pinterest-like’. But what about those images, they are all the same size right? Let’s fix that. Now, in your functions.php file, scroll to the bottom and after your last line of code paste the code below. What we are doing is adding a custom function to change the height of the blog featured images so they are not uniform like default. We have changed the height to ‘auto’ so Divi will always display the image at it’s full height and this is what gives us our staggered Pinterest look. Make sure you save. Now we need to make one more PHP adjustment and for this we need to add a file to our child theme. The function we just added adjusts the images for the blog grid but not for the single post layout, so if you have tall featured images as you see in my demo then on the single page those are going to get cut off by Divi’s default image settings, we are going to fix that now. You are going to need an unzipped copy of Divi, make sure it’s the latest version which you can download from Elegant Themes. In the root folder you will find a file called single.php, copy that file to your child theme folder. This will change the single post featured image so it always shows at full height. You can skip this bit if you don’t have tall images but it is kind of the point of a Pinterest style layout . Then, save and upload to your child theme folder. And that’s it. you should now have a Pinterest style blog layout similar to my demo. 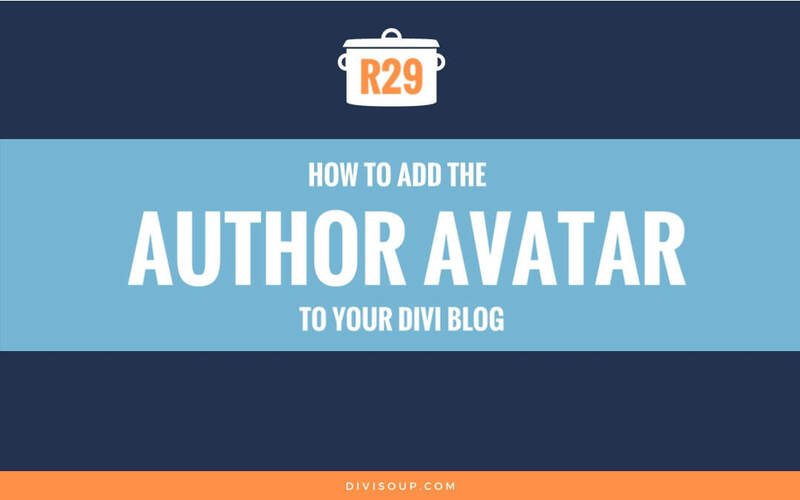 If you also want the Avatar showing as was in the previous version of this post, a better way to do that so it adds the image automatically is by following Recipe #29 – How to add the author avatar to your Divi blog. Thank you so much for your post. I followed your instruction and little bit tweak, and I got a result that I want at the end. Now i’m trying to make my site’s search results also looks like pinterest, but its pretty hard to figure out by myself. so, if its possible, may I ask any suggestion about it? The code works great for the blog module in Extra. But what I would like to do is have Pinterest style images displayed with the Blog Feed Standard Module in the Extra Category Builder. Could you show me the php Code and CSS needed to make this work? That would be terrific! Unfortunately, we’re Divi folks around these parts. 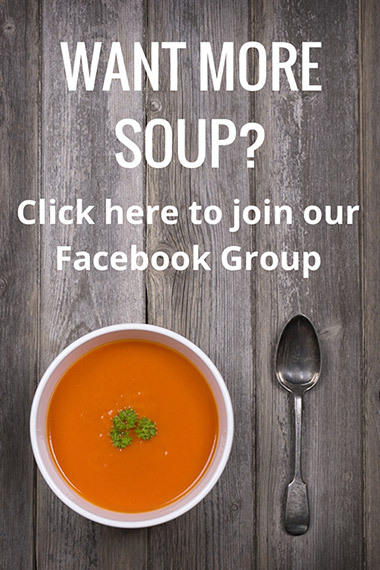 There are some Facebook groups that include tips and resources for the Extra theme – I’d recommend trying one of them. I use your code and everything works fine but I want to modify some data. Unfortunately I can’t do that by visual builder I’m still learning css, php etc and visual builder is very helpful with that because I can see at real time what I chane. Do you have any idea why visual builder doesn’t work with this code? The visual builder will not pull all of the code from a child theme so you will not get a true representation of the layout in the VB, you need to use the backend builder. thanks a million for this tutorial, its amazing. Have added all the css and did the functions files bit, but the page keeps displaying only 4 columns, instead of 7. When I open your demo on the same screen it displays 7 columns. Any idea on why this could be happening? Please help me to fix my image height that always automatic cropped to 219px everytime i create new post. Did you add the code to functions to change the image size? 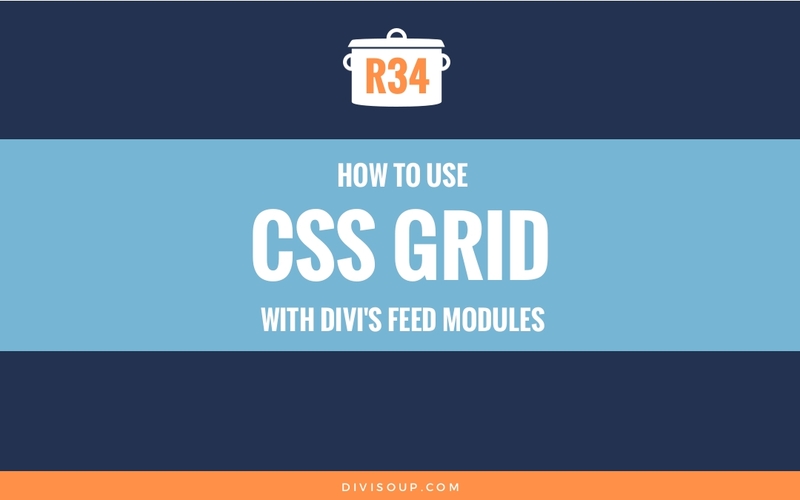 Do you have the module set to fullwidth? Sounds like it is set to grid. Are you aware of the fact that the column-count CSS rule is not well supported with all browser versions? Not even some newer ones? Is there a specific reason for that? “Not creating anything wit IE in mind”, that’s an example for everyone! Thank you for you reply. I am happy with dive’s 3 column blog layout. But I want to reduce the gap between the blog modules like your pinterest style. Can you give me the little code? Or Can you give me the old code? Michelle your recipes are so easy to follow and the baking style instructions was genius! I have been using this pinterest layout on my blog since you firs released the tutorial, and I have been very happy with the layout. However, I changed it to 5 columns on my blog. The weird thing is that after the latest update of Divi the layout is 3 columns. I See that this also happened to your demo. Is it a way to get this back to normal again? And… thank you for your great tutorials! Hi michelle, how to change to three column like your demo https://playground.divisoup.com/blog/ ? please help. This blog so beautiful. I love the design. please share the code to my email. Hi Michelle, Your tutorials are awesome. But I got a serious problem after using this css code. I copied all these code to my child theme to look my website blog post like pinterest and it worked fine. But I don’t want this pinterest code on my every blog post and decided to remove it. But After I delete my child theme, my website is not looking like the previous blog post style. Please help me to get back to the original style. If you have removed all the code added as instructed by the tutorial then I would try clearing all your caches. There is no way that the styling can remain if you deleted all the code. 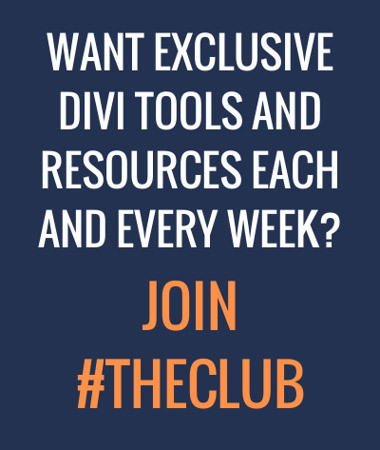 Hi Michelle, you create wonderful opportunities to make DIVI even more beautiful! However I put all the code in the right place but I don’t get the beautiful Blog, Grid lay-out you created. Can you tell me what I’m doing wrong, or what I am missing? Hi Michelle, Thanks for the excellent tutorials. I can’t get the images to change size in the grid. I have included the code in the functions.php of my child theme see below. Please help. Can you paste your functions.php code or a link to download the file so I can check it please Alan, also a link to your site. I also followed the tutorial for styling the individual posts, but this isn’t working either. The CSS for rounded corners and 3 columns works fine as does the excerpt CSS – it would be good to be able to do this with php and have the categories live. Hi Michelle, I sent you a link to the code and dd all you advised. I thought my reply went for moderation, butit’s been a week or so now so thought I should check. Thanks for the tutorials, they are helping me a lot. it’s great!! How can I change the font? Thank your for very nice blog solution! Features image is fine, But when youtube video is in placed, radius does not work. Can you provide any solution? If it is too much work for you, it would be fine that you dismiss. I’m trying to implement this on a website. Would it be possible to set 3 columns on a 3/4 section so it’ll leave some space on the right for the sidebar? I love how different this is, and varies from the standard divi blog layout … adds a great feature. I’m new in Word Press. Is there a way to put a menu with categories and when the user clicks, it will show only blog posts of that category? Yes there is, in Appearance >Menus, in the left hand side you can choose pages, posts, categories etc. Thank you very much for this tutorial, but I still have standar height on my image and I not undestand why. Can you help me pls? Thank you for awesome recipe. I have one question. I have not tag ?> in my functions.php in my child theme. How I add your php code in my functions.php? Awesome. What about change the layout from 3 to 5, 6 columns on desktop, do you explain it? Hi Michelle, thanks for this great tutorial! I had a bit of a problem with the function.php on my child theme so I skipped the part after the function.php. I would like to have a smaller font and no letter-spacing ( in the excerpt ) so it matches the blog posts on the homepage, but I can not get it right. Site is under construction though, but can you help me to set it up right? Thanks so much Michelle for this and all your other superb tutorials. They’re really awesome! 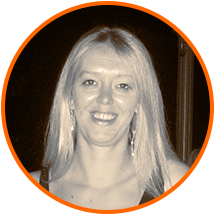 Very welcome Alina and thank you! This is amazing! Thanks a lot! I just tried it – awesome! Woah this is awesome!! I’ll try this in my website soon! The code for show 3 big colomns instead of 4 not work, you have may be an other code who work? Yes you can but you will need to use a child theme in order to have the adjustments in functions.php or it will get overwritten when Divi updates. LOVE this! Divi’s archives leave something to be desired (http://www.likoma.com/i-like-divi/), but this helps at least on a page index! If Divi could just have something like what you’ve created for their own archives (and search and category index and tag index, etc.) then I’d be thrilled (and I could stop using Avada!). Thanks again for the awesome tutorial! Try adding !important to the font sizes. Thanks for this tutorial, i am desperate to do this to the category pages too. For all the css elements you added for your “Pinterest Blog Layout”? I would really appreciate your guidance here. Thank you for this useful article. I put it in action, and it works under Chrome, but with Firefox, Opera or Internet Explorer nothing appears. Do you have an idea what I can do? I followed every line, and got a nice result in Chrome, but in Firefox,Opera and Safari nothing appears eben I have the scroll bar showing, that means something should show. Do you have an idea from where it could come? Wow! Another incredible improvement to my site. Thank you so much. I did get stuck at finding the PHP lines, but the first part improved my blog significantly. Thank you! I have been living on your site since I found you….#grateful! it’s a labor of love. I noticed on the demo that upon scrolling to the bottom, no new posts loaded. Is that not a part of this recipe? Sorry Michelle. Found it and sorted it. Cheers and sorry for hassle. Hiya. This recipe is awesome! I have done all the steps except for the one where I add the modified single.php file to my child theme. How do I do this or can you recommend any instruction videos for me to follow along to? Again, great work! Apologies Justin I forgot about that part of the tutorial, its a while since I wrote it. The instructions for this are in the tutorial. Copy single.php from the Divi parent theme and add it to your theme, then in the child theme single.php where it sets the image size around line 37, change 675 to auto and then save. That’s it. Thanks for replying so quickly Michelle. This is the part I’m confused about. I have DLed and made a copy of the single.php from the Elegant Themes site OK and made the changes to ‘auto’ but to add it to my theme (I’m already using a child theme) would I need to reactivate the parent Divi theme and then update? Does this need to be done in CPanel using FTP? Sorry for all the confusion. Is it possible to change the code to show 3 columns instead of 4 ? – Can you give any direction where to change ? Is there a way to automate the excerpt field? So that it automatically completes the author etc fields and still do an extract? Hi Michelle I love this tutorial again thank you! My only questions would be how do I achieve this same effect for the category archive? Rambo generally you need to edit the PHP file. I have created custom styling on the category pages on http://versatile.divisoup.com by copying the index.php file from Divi and renaming to category.php and then uploading to the child theme folder and adding styling using .category in the CSS so you may be able to achieve it that way I just haven’t tried. This may sound a strange question, but is there a way to re-direct the pinterest pin to a totally new link opposed to the blog post? Hi there! I’m looking for some coding to make my blog look like this – aholyexperience.com .. I could make it full width but not like the “odd even”.. like appearing featured image on alternate side ..
here’s the bog – ksim.org/blog .. help would be really appreciated.. Thanks for the code. I decided to stick with the default three columns and didn’t bother with the author section in the bottom of each post. I wanted the flat look too, so I didn’t bother with the drop shadows. I used the rounded corners and the uncropped multi-height featured images. Still looks great. I forgot on both sits place excerpt text [short text of post] in excerpt field. Now it works well. excerpt doesn’t show on blog page. I have thumbnail, meta and small author image with his name. If I delete HTML code in excerpt field, I can see excerpt text. Two examples: http://www.deline.sk, . Any idea to fix it, please? Thank you. Thanks so much for sharing this! I’d figured out how to do this in an earlier version, but when I updated I couldn’t re-figure-it-out for the life of me You’re awesome! you can easily test this yourself. The plugin is: “Nelio External Feature Image plugin”. 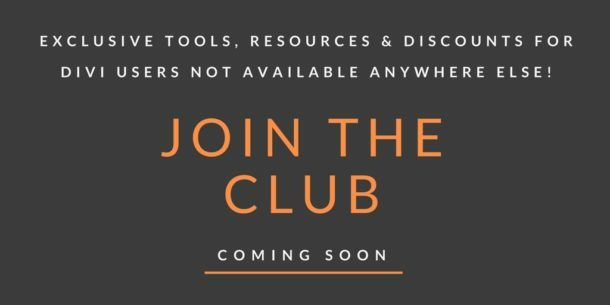 It is free and very easy to use. Now, using it with the pinterest recipe…. What I see when I look at the generated code, I don’t see any reference to an image…. One question/problem tough: I keep all my images on Flickr and use the Nelio External Feature Image plugin to be able to use external images as featured images. However, this doesn’t seem to work with your recipe Any idea why? Yes Rob, this targets and formats the default featured image, as you are using a plugin the selectors would be different. If you set it up and provide a link I can see if I can get it working for you. The upper left entry has a featured image configured using a URL. The other two entries have ‘regular’ feature images. So that works. Copied and pasted from the URL bar…. When I open that page I see Anticipate and no way to progress without entering an email address? That’s weird….. I now see that in several browsers as well ?!? Works fine in Safari, seems to be wrong in other browsers. I’ll figure this out first and let you know when that’s done. Anyway, you should be able to access the site now. I’m curious is you can find a quick way to use a URL-based feature image! As the featured image is not displaying for that post I am not able to inspect it. Would it be possible to do two things please. Set up a test blog page with the standard blog layout but using your plugin so I can inspect it and see if it can be changed. And secondly, if you could send me the name of the plugin you are using. Hi Francesca. I don’t use Mac but have looked on Safari in Windows and I cannot see anything wrong. Have you tried disabling the blog module to see if it causing the problem? Hi, I really like how you’ve done this. It looks fantastic. I saw you said it was possible to set up custom fields to automate the author image, could you share how? I’d really like to do that too. I really like(actually LOVE) it on desktop. Less so on Mobile though. The Headings are coming through smaller than the body text. Any quick fixes for this? This is because of the settings you have in your own environment, the tutorial does not style the headings and body copy, only the author and category text below the excerpt. So you will need to set your font sizes for mobile and tablet in the theme customiser or style sheet CSS. Thanks. I’ve been trying to working on doing this forever! I so short on time these days. Michelle you’re amazing!! Thank you so much for this recipe. One thing I don’t like from Divi, is once you clicked on the title of the blog post the user sees the blog post itself, but is unable to return back to the overview. I think Divi is lacking in navigation. What do you think?